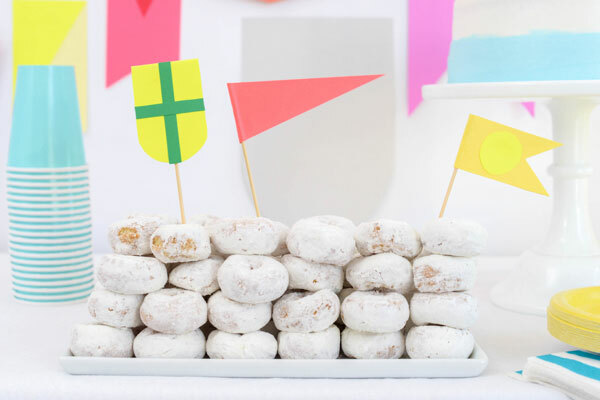 Today’s project was inspired by nautical flags. 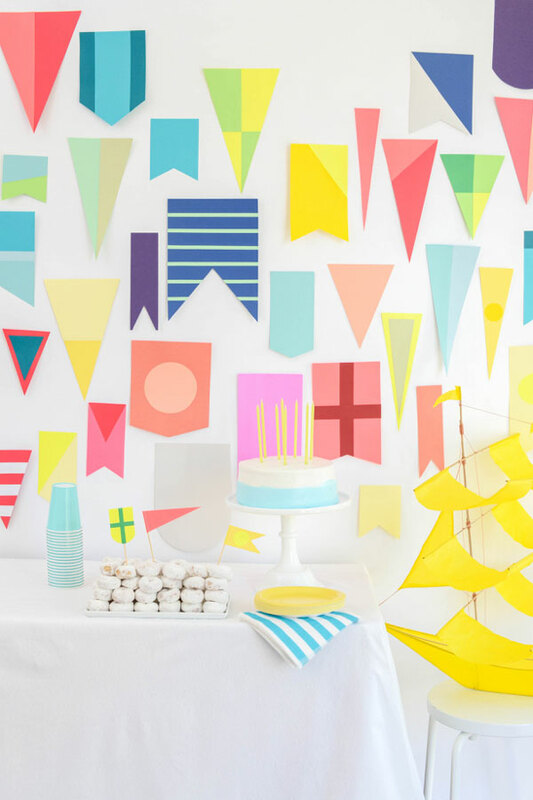 This would work great for a nautical or sea-themed baby shower or birthday party. 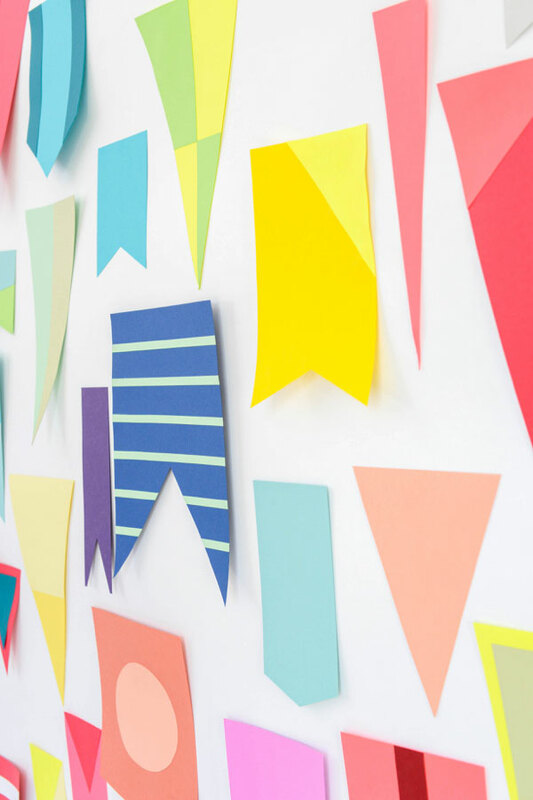 I researched images of vintage nautical flags on the internet to get ideas for patterns and then cut them out of bright and unexpected cardstock colors. 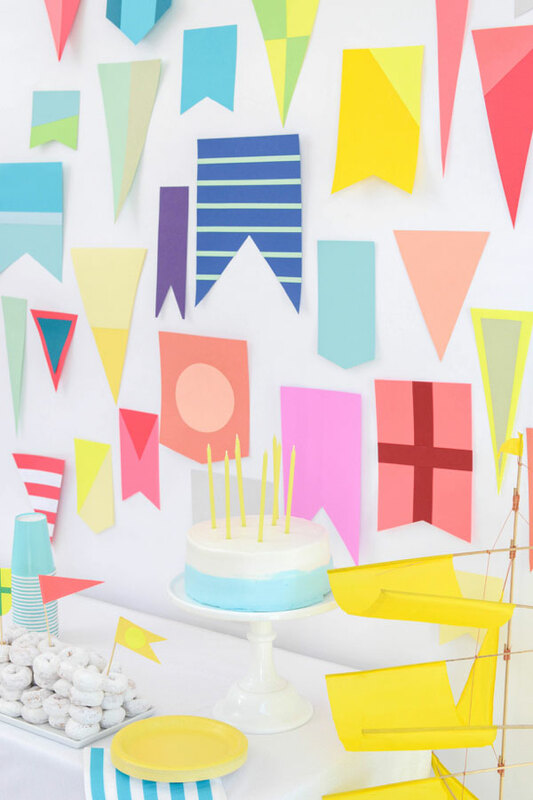 I had the big yellow ship kite around and it fit perfect with the decor. We even made a few baby flags on tooth picks to add to the food. This is one of those creative projects that is really satisfying. You get to choose the colors and the patterns yourself. I would lay them out as I went and choose the next design based on what colors I thought it needed. So when it was ready to install I already had a plan for how to hang it. Ahoy Mateys! See the whole DIY below! 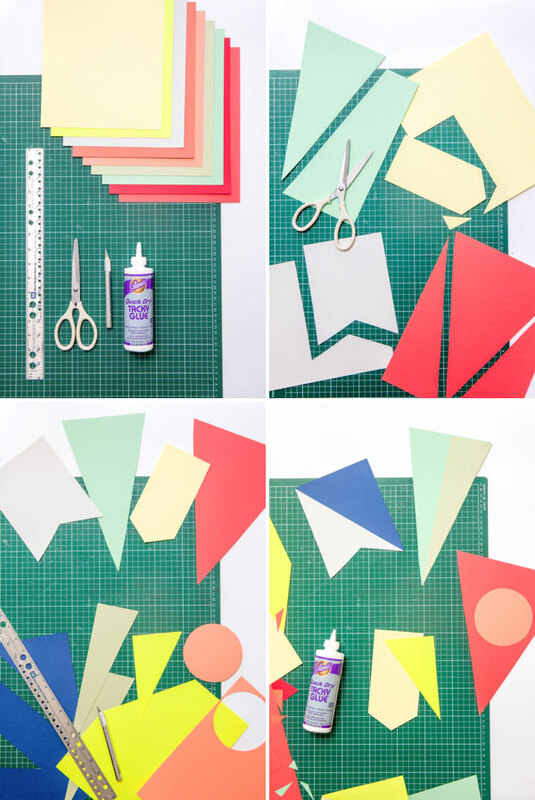 Step 1: Cut out flag shapes from sheets of cardstock. Step 2: Trace your original flags onto corresponding colors of cardstock. 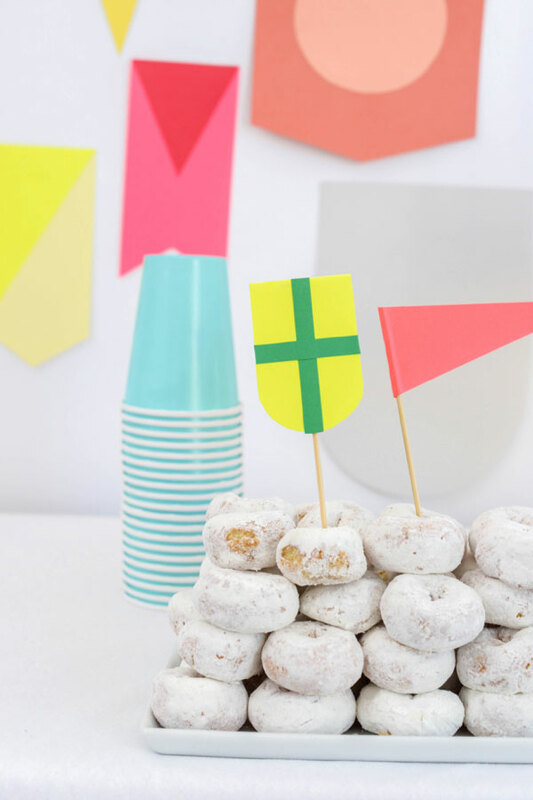 Use a straight edge and exacto knife to cut out shapes that fit perfectly onto the flags. Step 3: Glue these corresponding shapes onto the flags. Step 4: Hang up and enjoy! I absolutely love this idea! This is adorable! Wow, These are incredible! I love all of the colors and shapes. gorgeous color palette! Where did you find the cardstock? 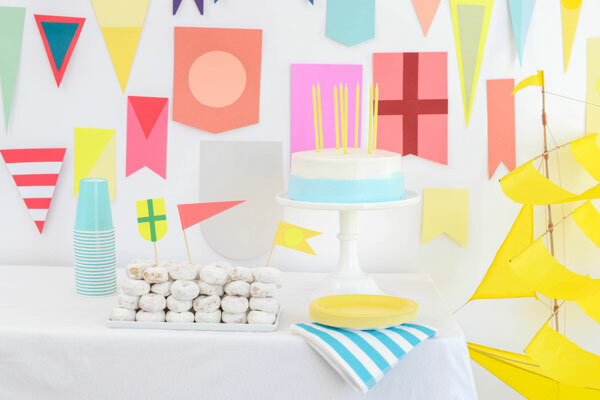 These are perfect for a birthday party or even a baby shower! This is so fun!!! it would be awesome for nursery wall art too!